The PB 1000 series machines are suitable for punching larger paper stacks in offices, law firms, schools, government agencies, copy shops, and small print shops. 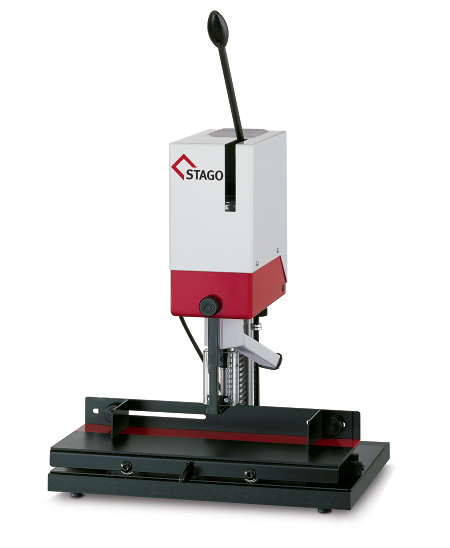 The ergonomic, simple, and robust design enables them to have a wide range of applications. Stacks of paper of up to 60 mm can be punched in a user-friendly way and without much effort. Three different table designs enable economical use for many different applications. The sliding table with programme shaft (SP) allows it to define up to 6 different hole spacing. Precise dual, double, US and also customised perforations are therefore not a problem. The chip removal is performed automatically into a collection bag. However, it is not only paper that can be punched, but cardboard, textiles, leather, plastics, etc. can also be machined by a wide range of drill bits with hole diameters of 2-15 mm.